In the Report “Aircraft Lighting Systems Market: By Aircraft (Commercial, Military, Cargo); By Application (Interior [Cockpit Lighting, Exit Mark, Others], Exterior [Aircraft Visibility, Pilot Visibility, Others]); By Service Light; By Light Type (LED, Incandescence, Others); By Geography – (2018-2023)” published by IndustryARC, the market is mainly driven by the increase in commercial aircrafts coupled with a growing number of air passengers globally. North America is the dominant market for aircraft lighting system which generated a value of $733.35 million and will grow with a CAGR of 4.54% to reach $957.18 million by 2023. In North America, especially in the U.S. has been the pioneer in innovation, manufacturing, and export of a wide variety of aircraft, thereby resulting in one of the nation’s largest net exporter. Asia-Pacific is the fastest growing region that will grow at a CAGR of 6.11% to reach revenue of $702.77 million by 2023. The growth in the APAC is mainly owing to the demand for commercial aircraft in developing economies along with rising investments and more investments, more gradually in the military sector. The findings say commercial aircraft lighting system market is the dominant market followed by military aircraft lighting system market. Anti-collision lights with respect to commercial aircraft lighting system market are the fastest growing segments, owing to more focus on aircraft visibility during a flight to avoid fatal accidents. In 2015, cabin and cockpit lighting witnessed a fall in price, majorly due to an installation of aircraft LED lights which are much more power efficient and cost friendly compared to fluorescent lights. The market for commercial cabin lighting system is set to see an upsurge due to the increasing competition for attracting the customers along with the increasing regulations in the aerospace. In interior lights, the commercial cabin lighting system market value is projected to grow at a CAGR of 6% and reach $1011.85 million by 2023. Military cabin lighting in aircraft lighting system is projected to grow at a CAGR of 1.59% and to reach $32.57 billion till 2023. The commercial cockpit lighting systems market is set to grow at a CAGR of 4.86% and to reach $443 million in 2023. The military cockpit lighting systems market is expected to grow at a CAGR of 2.82% and to reach $98.21 million by 2023. The commercial market for emergency lighting in aircraft lighting system is set to see upsurge surge due to the growing advancements in the aerospace industry. The market revenue was $109.31 million in 2015 which is poised to grow at a CAGR of 2.35% and reach $134.89 million till 2023. The military emergency lighting system market revenue is expected to grow at a CAGR of 0.74% and to reach $14.5 million till 2023. The investments at a large scale have been fueling the overall market to a large extent in the developing regions. • Increasing fleet size globally projects an opportunity in the market as aircraft need to continuously upgrade their existing fleet in sight of growing competition and renewed passenger focus on experience and comfort. 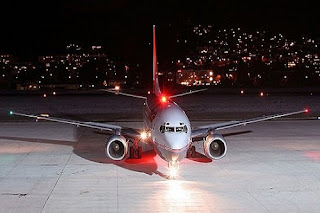 The technological developments being carried out in diodes, source, weight, performance, automation, and other factors, thus present significant opportunities for the airplane lights systems manufacturer market. • Advancement in light technologies offering energy efficiency, higher reliability, and performance which is beneficial to both the customers as well as the airline operator, has led the LED lights to raise the adoption for aircraft interiors. • The regulatory agencies such as FAA (United States), EASA (Europe), CAAC and JCAB propose new regulations from time to time. These new regulation requirements have continuously given opportunities to innovate lighting commodities and adversely affect the sales of lighting suppliers. 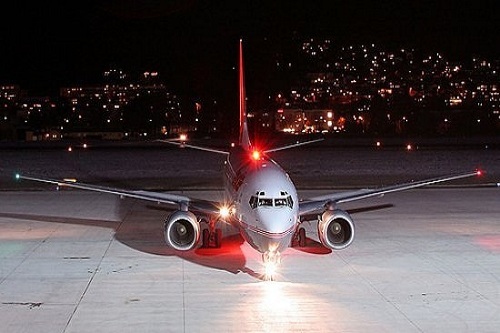 • Technological development in diodes, source, weight, performance, automation, and other factors thus, present significant opportunities for the aircraft lights system manufacturers. • Demand for new aircraft is at a rise and is estimated to reach 27,000 aircraft till 2023, including passengers and cargo jets, corporate jets and regional aircraft. Around 4500 widebody aircraft is estimated to be delivered in the same period of time.